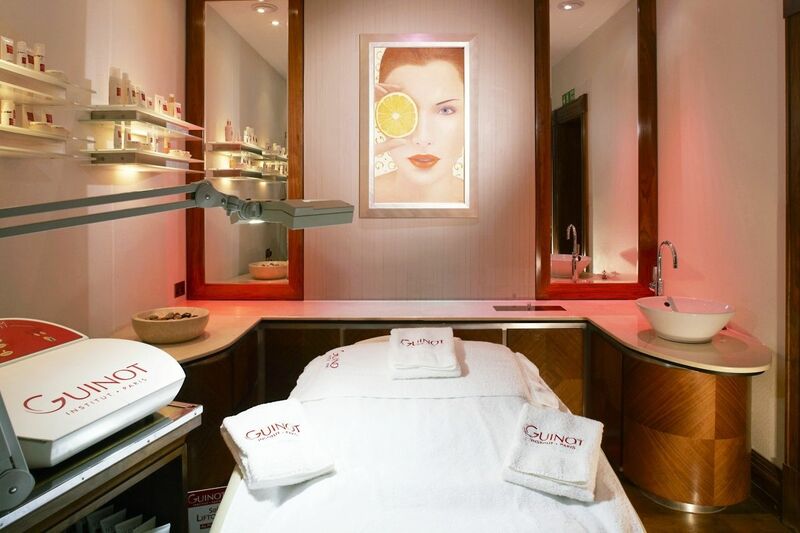 I recently went to the Guinot salon in Mayfair to try their Hydradermie2 facial. 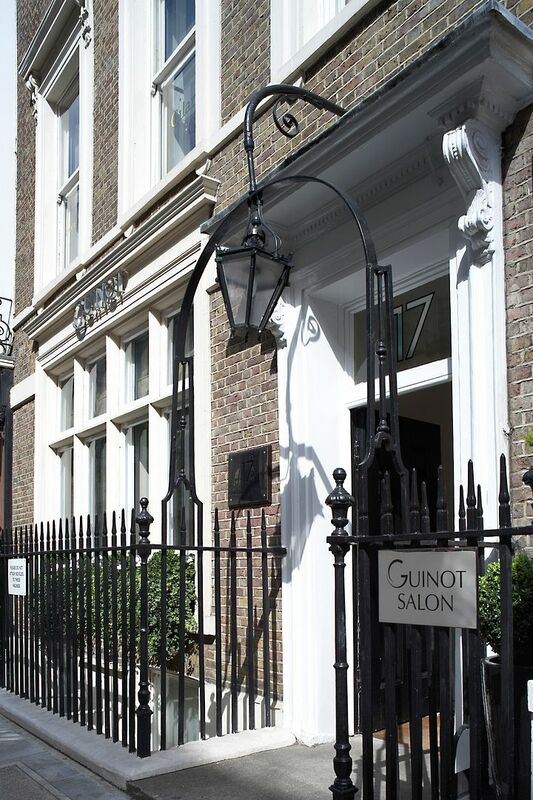 The salon is based on Albermarle Street, where you can find all the designer names like Paul Smith and Alexander Wang, which of course I resisted and headed straight to Guinot for my Monday facial. I think it’s quite a nice way to start off the week with a facial and prepare your face for the week ahead. 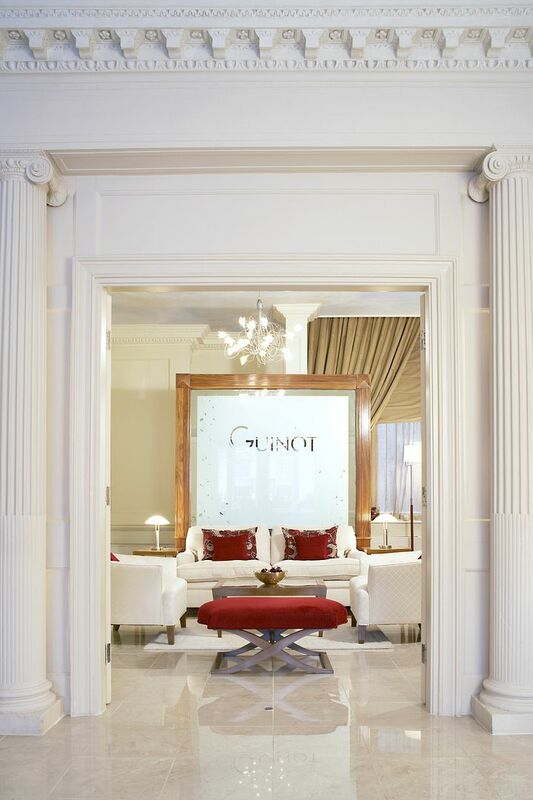 The Guinot salon is as you would expect inside. The ladies are very friendly and it has a spa like quality to it. I was led into the facial room and explained a little about the facial. The Hydradermie is adapted to your skin type and concerns, so my therapist Michelle took a look at my skin under the lamp and concurred my thoughts on my dehydrated skin. Therefore my treatment would use many of Guinot’s hydrating products, which I was excited to learn about as I have tried many products for dry skin but not as many for dehydrated, so it’s something I really look for in a skin care. My treatment started with a cleanse and then went onto use the ionisation technology that Guinot have developed. I have never had a facial quite like this, normally it’s mainly massage techniques but I have never had this type of technology used, so was eager to see the results. The Hydradermie facial originally was limited to single ionisation in which only the positively charged ingriedients would penetrate the skin, but now the system has two electrodes one positive and one negative so allows for complete penetration of both the positive and negative. Throughout the facial theses special rollers were used twice and on the second time it gave a slightly tingly feeling and you could hear it buzzing but I was put at ease by Michelle as she explained how it worked. Hydradermie uses two gels with the rollers and the first application was for five minutes which saw the positive ions penetrating on one side of the face and the negative ions on the other. After five minutes the rollers are switched allowing both negative and positive ions to diffuse the active ingredients deep down to the sebaceous glands. The skin therefore absorbs both negative and positive active ingredients used within the gels and removes impurities and toxins. The facial also included extractions, which I have also never had done before, but this really helped my skin and a week later has stopped those nasty spots coming back up to the surface. I had a mask applied for my skin type so for me it was one from the hydration collection and also a lovely massage from the shoulders up. After the facial Michelle had written down my prescription, a range of products she thought I would benefit from. There was no obligation to buy any and if anything I learnt lots more about my skin type and what I could be using. I was taken back upstairs and enjoyed a lovely herbal tea. My experience at Guinot was perfect to start off my Monday and was great to experience the technology. My face straight away looked more radiant and alive and felt extremely soft too. I was recommended monthly treatments to get my skin in order and I wouldn’t hesitate in going back. Guinot Hydradermie2 facial lasts 60 mins and is priced at £60. For more info visit uk.guinot.com. I’ve just booked in for one of these facial with my beauty therapist, really excited to try it!